This story with have you in tears. Anyone who has lost a loved one or close friend to a sudden death should read this book It isn’t therapy but it does reach into the thoughts and actions of survivors. Cameron Connolly and Violet Knight had both suffered the pains of life. He as a foster child until the Connolly’s had taken him in and she at the loss of him when he suddenly walked away with her heart and now a close friend to death. The last thing either expects is a second chance but life and fate hands you what you can handle – ready or not. I cried from the beginning, though there is some laughter and loved watching the growing love between this couple as well the Connolly brothers who had some ground to make up too. While all worked toward healing, survival and love. The healing touch of love is felt throughout this book, but the romance is steamy, the brothers are funny as well as jerks to each other and Violet and her friends are there for each other as only friends and sisters can be. If anyone can make you understand how to handle the heartbreak that life can hand you it is author Carrie Ann Ryan, with this amazing beginning to her new Fractured Connections series. May I say that I love the Montgomery clan, no matter what city they are in and can I find a “Brushes With Lushes” class somewhere close by? In this novella Kaylee Chambers is an artist, a business woman and a big disappointment to her mother. She divorced a cheating husband and she is … OMG … working with her hands. How terrible! She will stick to art and friendship, so why does Landon keep tugging at her heart. Landon knows numbers and he knows families can be a pain, but the one thing he finally comes to realize is that Kaylee is the one for him. She might not have been ready when they first met but he’s hoping that somehow she would come to him and feel the same love. Ink by Numbers is a novella that will grab you by the heart as you watch these two dance around one another until they realize friendship is good but Love is so much better. 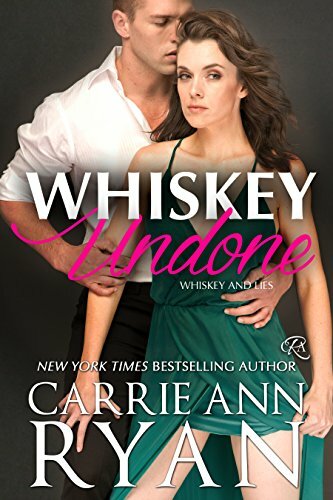 Carrie Ann Ryan knows how to give her readers a sweet yet very steamy romance that leaves us with the warm fuzzies. Cannot wait for the next offering of this talented writer.